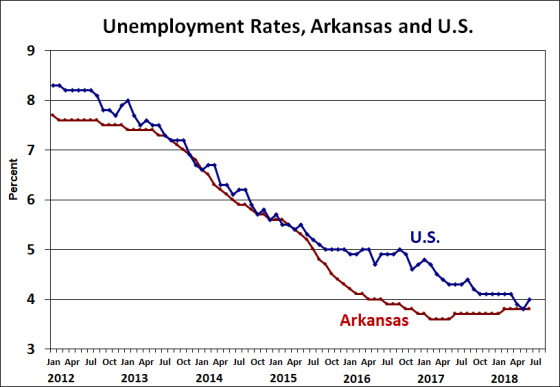 Arkansas’ unemployment rate held steady at 3.8% in June as both the number of employed and the number of unemployed declined. In contrast, the U.S. unemployment rate ticked up 0.2 percentage points to 4.0% as nationwide labor force participation increased. 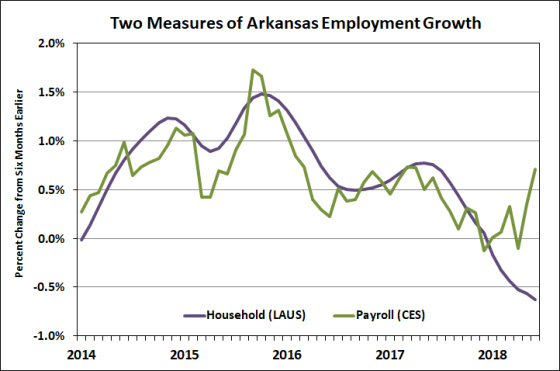 This was the ninth consecutive monthly declines for household employment labor force participation in Arkansas. The number of unemployed has now declined for the past two months. Nonfarm payroll employment increased by 1,500 in June and the preliminary May figure was revised upward by 1,100 (seasonally adjusted data*). Employment in Professional & Business Services increased by 3,000 jobs — mostly in the Administrative & Support Services component (+2,300). 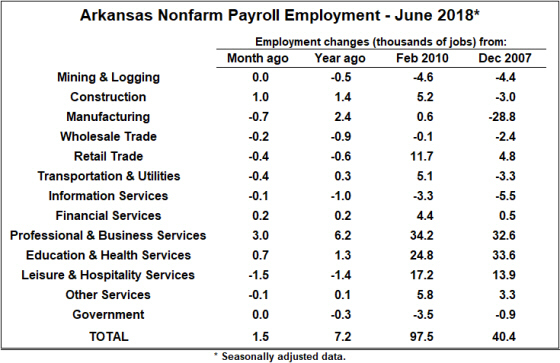 Other sectors gaining jobs included Construction, Financial Services, and Education & Health Services. The not-seasonally adjusted data showed large declines in both Government and Educational Services, but these were primarily due to the start of summer break at public and private schools and universities. Declining sectors included Leisure and Hospitality Services as well as all components of Trade, Transportation and Utilities. Compared to a year ago, employment is up overall in both the goods-producing and service-providing sectors. Especially encouraging is the ongoing growth in Manufacturing and Construction. In services, the growth sectors continue to be Professional & Business Services and Educational and Health Services. 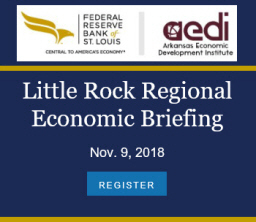 As the data for 2018 accumulate, it is becoming more evident that the two sources of employment data are providing conflicting signals. As shown in the figure below, the trend growth rates for these two measures have generally been moving together up through the end of 2017. Over the first six months of this year, however, data from the payroll survey has increased by 0.7% while the household survey data show a decline of 0.6%. Of the two measures, the payroll survey is generally considered to be more accurate, although both are subject to revision as more information becomes available. Based on the payroll data available to-date, it appears that employment growth is showing signs of recovery from a period of very slow growth near the end of 2017.